To mark the 40th anniversary of its founding, Carus has launched the series “Carus Classics” featuring outstanding recordings from its back catalog. The series, specially devised by Friedrich Forssman and Cornelia Feyll, is being issued in high-quality Digipaks with extensive booklets. 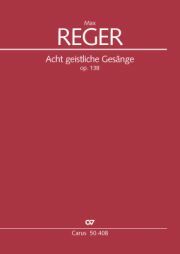 Reger worked intensively on more extended a cappella choral settings, with Bach’s motets especially serving as an important model. The first two of the Three Motets op. 110 in particular, dedicated to St Thomas’s Choir Leipzig, represent a tremendous challenge for choral singers with their closely-worked double fugues. By contrast, the Eight sacred songs op. 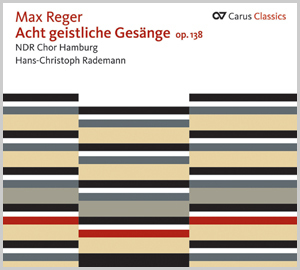 138 show Reger’s mastery at simple setting – a masterly “new simplicity” with which the composer completed the circle back to his earlier choral works.